The return of Ovation of the Seas, the largest cruise ship to sail the Gulf of Alaska, alongside two Radiance Class ships – Serenade of the Seas and Radiance of the Seas – will mark the global cruise line’s biggest presence in Alaska yet. Before arriving to the last frontier, Ovation and Radiance will island-hop along Hawaii, while Serenade sails the Panama Canal and Golden Coast on her way west. Ovation of the Seas – the first of the cruise line’s Quantum Class to sail Alaska – will return for its second consecutive season to offer seven-night itineraries from Seattle, Washington. Ovation’s itineraries will offer visits to destinations that will give guests the chance to catch the Northern Lights in Juneau, relive the Klondike Gold Rush in Skagway, sail through the Endicott Arm fjord, and stroll the streets of one of the oldest cities in the Pacific Northwest in Victoria, British Columbia. For the first time since 2009, Serenade of the Seas will head west as it repositions from a winter in the Southern Caribbean to Vancouver, British Columbia, making 2020 Royal Caribbean’s first summer season with three ships in Alaska. Serenade will sail seven-night itineraries through the 800 kilometres of shoreline that is the Inside Passage, calling on Ketchikan, Juneau and Icy Point, Alaska. 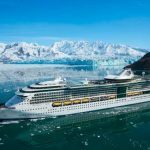 No stranger to the region, Radiance of the Seas will once again offer seven-night, open-jaw itineraries between Vancouver and Seward, Alaska. A veteran at plying the Gulf of Alaska, Radiance will cruise alternating Southbound Alaska and Northbound Alaska routes, offering guests the opportunity to uncover the myriad of adventures of the Great Land. 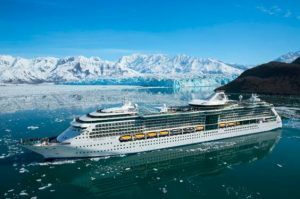 Serenade and Radiance of the Seas tout ocean-facing glass elevators and floor-to-ceiling windows throughout, blurring the lines between the ocean and wilderness for explorers to gaze upon the glaciers and every sight along the Alaskan coast. Serenade of the Seas will sail through one of the largest and legendary engineering projects ever undertaken as she makes her way from Fort Lauderdale, Florida to Los Angeles, California on a 14-night Westbound Panama Canal sailing departing May 4, 2020. Along the journey, guests can encounter the charming cultures of Central America with visits to Cartagena, Colombia; Colon, Panama; Puntarenas, Costa Rica; Puerto Quetzal, Guatemala; and Puerto Vallarta and Cabo San Lucas, Mexico. On May 20, 2020, Serenade will then head over to Vancouver, British Columbia to navigate the Pacific Coast on a six-night sailing. When the season is over, the Radiance Class ship will set sail on her return to Fort Lauderdale – eastbound and back through the modern marvel – on October 17, 2020. Both Ovation and Radiance of the Seas will cruise the islands of Hawaii, where guests can explore rainforests, waterfalls and beautiful beaches as they sail to Alaska. Ovation will embark on her 11-night cruise from Honolulu, visiting Maui (Lahaina), Kailua Kona and Kilauea Volcano, Hawaii, on May 7, 2020. Also sailing from Honolulu and departing on May 5, 2020, Radiance will offer a ten-night itinerary to the Alaska with ports of call including Maui (Lahaina), Kailua Kona, Hilo and Kauai (Nawiliwili), Hawaii.